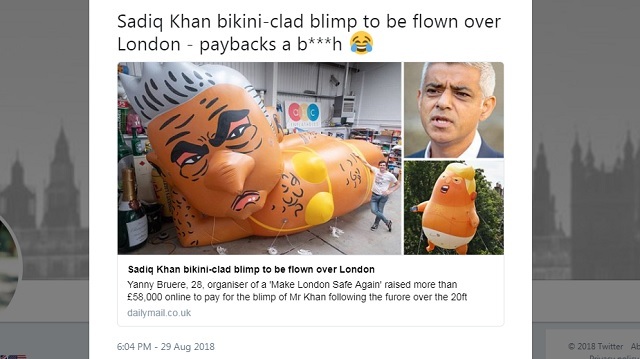 Yanny Bruere, 28, unveiled his hilarious crowdfunded Sadiq Khan blimp on Wednesday which features the Muslim mayor in a yellow bikini similar to the "Beach Body Ready" advert he had banned. 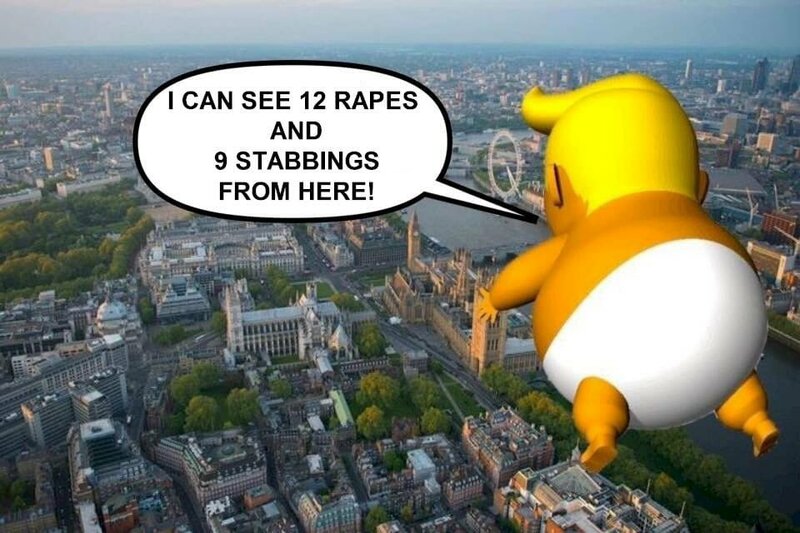 He was accused of putting a dampener on Donald Trump's visit to London last month by allowing a giant balloon of him dressed in a nappy to fly over the capital. 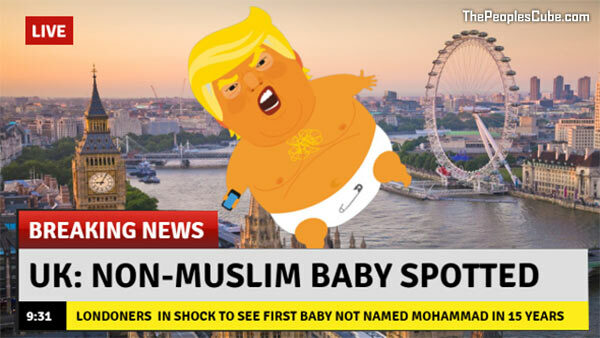 Organisers raised more than £58,000 online to pay for the blimp of Mr Khan following the furore over the 20ft balloon, dubbed 'Trump Baby', which was granted permission to rise above Parliament Square during the US President's visit last month. He said: 'I was just so irritated that Mr Khan took it upon himself to speak on behalf of the UK over the President's visit. 'Whatever anyone thinks of Mr Trump, he is still leader of the free world and should be accorded the respect of that position, especially at such a critical time for the UK as we face separation from the EU. This is a work of art and so much funnier than the horrible Baby Trump! Government officials are already trying to stop it from flying! "The EXACT same park that allowed Trump Baby balloon to have a trial run have DENIED the Khan balloon the same courtesy," Yanny Bruere said last week on Twitter. 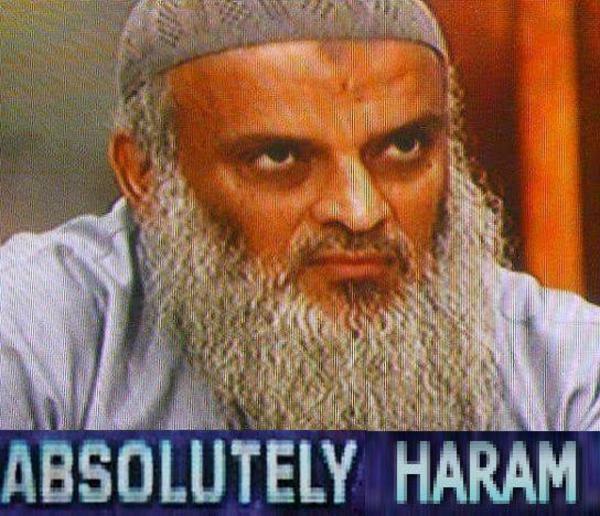 "The park is a public taxpayer funded space. Why is it OK for Pres Trump to fly there, but not our balloon?" Despite their censorship attempts, the Khan balloon is going to fly on Saturday, September 1st at Parliament Square, London from 9:30 AM – 11:30 AM UTC!